… no, that just won’t work. It’s contrived and boring, and I can’t think of anything for the villain to do or any reason why she should be doing it. 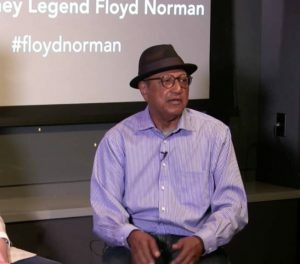 A few months ago, I attended an interview with Floyd Norman. Floyd is a Disney Legend – “the first African-American at Disney,” he says. He got his start in animation, but his career really took off when Walt himself asked him to help with the story on The Jungle Book. Creative people are more willing to take a risk, he explained. “Creativity is not being afraid to be different, and to be a little bit nuts.” He talked about his job being a collaboration between art, creativity, and technology. “Walt and his colleagues were just making stuff up. The painters, the cameramen, et cetera – they learned and made it up as they went along.” His career has spanned from Sleeping Beauty all the way to Monsters Inc.; he explained that Pixar is very much like the Hyperion studio in the 1930s. Because no one had done it before, there was nothing telling them they couldn’t do it. Jill ran a 5K yesterday, and she’s made two trips to Sparkle Skirts this weekend. So while she’s been running around, I’ve been catching up on my to-do list … which included a bunch of things I’ve been meaning to watch. I’ve been trying to learn a few new things lately. Hello, Amalgamated Fluorodynamics, security desk, Noel speaking! Oh, hi, Ralph. Hey, I wanted to thank you for your Christmas card, that was really nice of ya! … no, Ralph, I’m kidding, I know you didn’t send me a Christmas card this year. Nobody did. Don’t worry about it, really, I’m okay with it, I’m used to it. I’m chief of security. I make people’s lives difficult by telling them to change their passwords and lock their lab doors. If they liked me it means I’m not doing my job right. If I wanted to be popular I wouldn’t be in this business. Still, might be nice, right? Slow down, Ralph, you’re yammering too quick, I can’t understand a word you’re saying. What got broken into? No, that can’t be, I’d know about it. My console would be lit up like a Christmas tree. Nobody can disable the alarms ‘cept the CEO. Uh-huh. He did, did he? What’d he take? Now, Ralph, you know I can’t tell you anything about the top-secret stuff that goes on in there. I don’t even know a whole lot about it myself, just what I hear during lunch break. They came up with something that can move you freely through any dimension, and I learned back in high school that time’s the fourth dimension – yeah, I did a book report on Stephen Hawking once – so I hear they can hop back a couple of minutes just as easy as strolling across a room, and they can go through walls as simple as stepping around a flagpole. Crazy, right? But the secretary tells me they can’t find a decent practical application for it that wouldn’t give Homeland Security a wedgie. So the official word is that I don’t have any idea what goes on in that lab. And neither do you, y’hear? So he took that. Man, I’m glad I didn’t schedule any Christmas vacation. Anything else? Huh. But there’s really not a whole lot special about the 3D printer. It’s just an off-the-shelf model from China. It even came with a whole bunch of schematics for stuff that gets shipped out of Shanghai, mostly toys and personal hygiene products. Me and the guys played with it some and now we’ll never need to buy another toothbrush so long as we live. But the printer ain’t any good without the raw materials to go into it, and do you know how heavy that stuff is? How’s he gonna lug it around? Oh, that too, I see. Yeah, they call it a “massless gravity-nullifier”. 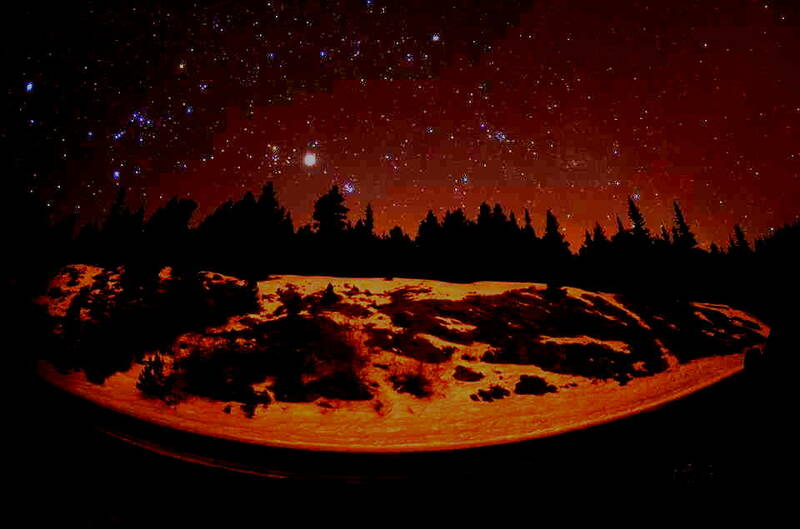 See, gravity is like a bowling ball on a rubber surface – the mass of the ball bends the surface and anything close to it gets drawn in, see … sorry, Hawking’s book again, but basically they found a way to make that not happen, so if you hold up a pencil and let go it just stays here. Strangest thing in the world. Yeah, somebody was showing it off in the cafeteria. I would have written him up for it ‘cept it was just too cool. That all, Ralph? All right. One 3D printer, one time-and-space-shifting doodad, and one antigravity thingamabob. What’s he going to do, become a revolutionary toothbrush distributor? And even if he can make all of it float, that’s still an awful lot to move around. Is he planning on pushing it from house to house? By the way, Ralph, I hope you’re going to the Christmas party this year. The invite says they’re bringing in live reindeer from Norway or Canada or someplace so they can put venison on the menu. Really fresh, if you know what I mean, as long as the activists don’t hear about it. Maybe I’ll see you there. No, I promise you, Ralph, no hard feelings about the Christmas card thing. Hey Ralph, look, I’m going to have to call you back. I think I’m gonna take the evening off after all.